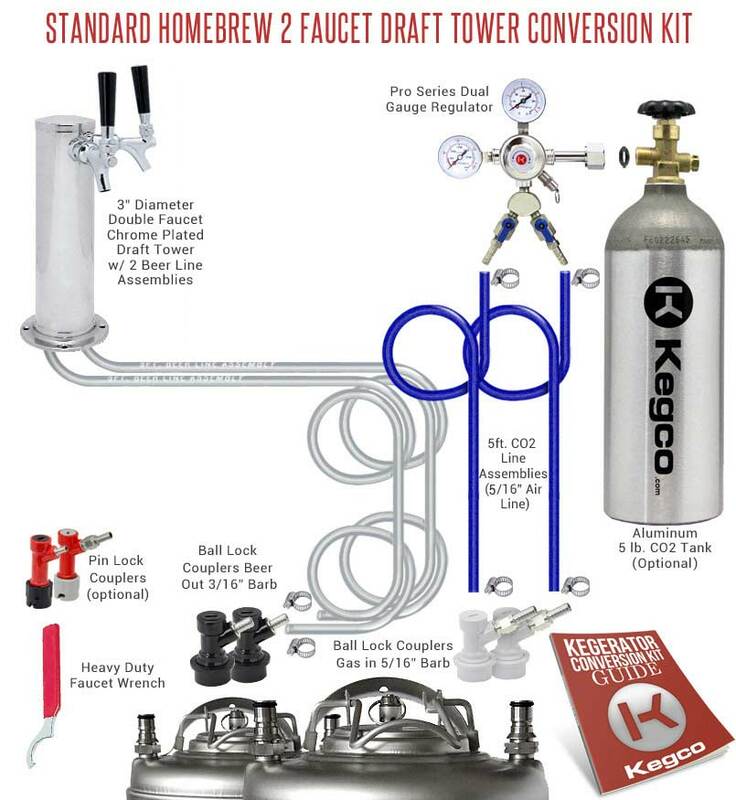 Homebrew beer lovers, it is now easier than ever to dispense up to two kegs of fresh-tasting home brew beer straight from the keg thanks to Kegco's Standard Homebrew Two Faucet Draft Tower Conversion Kit! This kit comes complete with everything you'll need to convert a compact refrigerator or chest freezer into an impressive two product beer dispenser, including a pro series dual gauge regulator for easy monitoring of output pressure and CO2 volume and the same sleek 3" diameter double faucet stainless steel tower found on many commercial grade kegerators. It can be ordered with your choice of ball lock couplers for tapping Cornelius Pepsi kegs or pin lock couplers for tapping Coke kegs. All of Kegco's conversion kits come with detailed assembly instructions, and our knowledgeable product specialists can be reached at 1-800-710-9939 for additional support. Easily measure PSI and Co2 volume and adjust Co2 output pressure using this pro series dual gauge regulator packed with premium features! The top gauge indicates output pressure, while the side gauge tells you what's left in the Co2 tank, so you don't run out of gas during a party. The chrome plated brass body has a large pressure adjustment knob for easy use and includes a manual pressure release valve. The regulator features an air splitter with two shut off valves to pressurize two kegs at once.